Sekisui House has built more homes than any home builder in the world and Woodside Homes is its U.S. beachhead. Sekisui House has become the latest Japanese company to raise its profile in the U.S. home building industry by acquiring Salt Lake City’s Woodside Homes last February. The Osaka company has built more houses than any builder in the world— 2.2 million since starting in 1960—and is a global leader in constructing zero-energy homes. The prefabricated house manufacturer also is an innovator, having developed advanced factory production processes with high-tech machine tools and robotics that make components to tight tolerances, including its proprietary metal joining system for locking modules together in the field without using nails. Q: It’s been said that Sekisui House alone invests more in R&D than does the entire U.S. home building industry. You’ve been to the company’s R&D Institute in Kyoto. What did you see there? A: Sekisui House has a very impressive R&D facility in which all manner of building technologies are tested. I don’t have insight into the R&D budget of other builders, or Sekisui’s actual budget, but from what I’ve seen, it certainly appears that Sekisui does more R&D than anything I’ve seen any other builders do combined. Sekisui House firmly believes in the “Love of Humanity” philosophy, and that drives the company to test building systems for quality, comfort, healthy home, and IoT [Internet of Things] smart home technologies that improve the quality of our lives. I can’t discuss specifics, but it’s fair to say that they are testing some of the most advanced home technology I have seen. Q: Is it true that no fabricating tools—saws, planes, or other adjusting tools—are allowed in the assembly plant because the line achieves such tight tolerances on structural panels and modules on the first pass, so there shouldn’t be a need to make adjustments at the end? A: The assembly plants are modern marvels. Tolerances are very tight and the technology allows for first-pass quality. The overall commitment to the longevity of the house Sekisui constructs and the quality of product it builds is truly amazing. I have not seen anything close to it in the U.S.
Q: Sekisui has systems and innovation in its design and construction processes, as well as a heritage of building zero-energy homes. 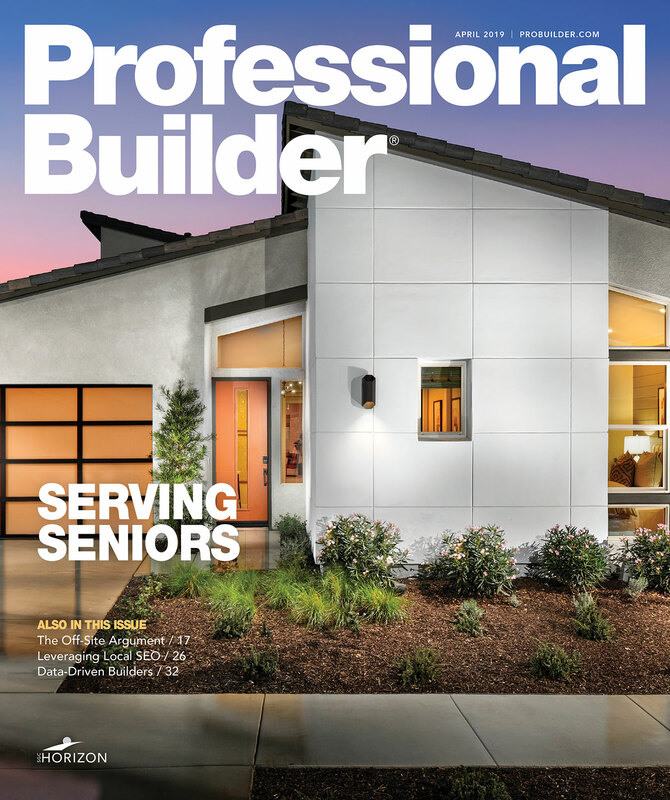 Do Sekisui managers see the U.S.—with the home building industry here dealing with tight labor supply and still predominantly stick building homes—as a significant business opportunity? A: I believe the U.S. home building industry has traditionally been slow to adopt new systems. This glacial adoption of technology is typically driven by the fact that the entrenched method is still the most economically viable. Sekisui House invested with Woodside because we are a solid company that builds a high-quality product, we share common beliefs about the customer and the environment, and the fundamentals within the U.S. home building industry are quite positive. Of course, a significant part of the acquisition is the understanding that there are efficiencies to be realized. Q: What are the possibilities for Sekisui innovations coming to Woodside by way of design or construction methods (modular systems replacing stick built)? A: The economics around labor and material increases are such that many companies are looking at different design and construction methods to combat the constraints within the industry. I believe the industry is going to change, as it has in many parts of the world. The innovations referenced are standard methods of building homes. Q: Sekisui has factories in Japan and Australia. Would it eventually need to have a U.S. manufacturing presence? A: That remains to be seen. There are some fundamental differences between Japan and the U.S. that will require significant thought and planning prior to establishing a manufacturing presence in the U.S., not least of which is geographical scale. Sekisui House builds more than 50,000 homes in Japan, a nation that’s slightly smaller than the geographical area of California. However, the thoughtful design and planning that informs all that Sekisui House accomplishes will extend to our U.S. presence as well.